Move Up! Move Fast! Move Now! 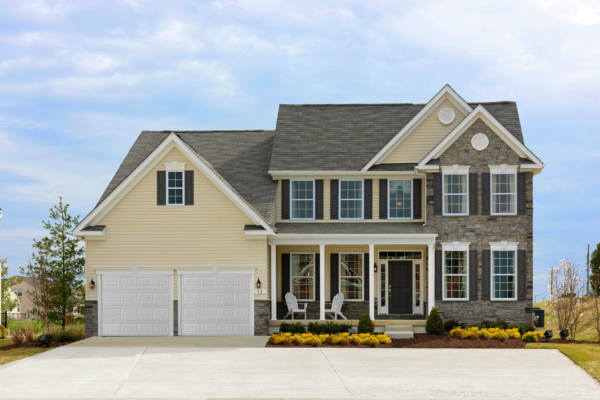 Located in Magnolia, DE,The Reserve at Chestnut Ridge provides a perfect setting for your new home! Conveniently located between Dover & Milford, you are minutes from area beaches and resorts, shopping, employment centers, cultural activities and more. The Reserve at Chestnut Ridge offers you a wide choice of home styles in an amenity-filled community with clubhouse, pool, fitness center, playground and trails. Affordably priced from the mid-$200s, our homes offer an array of included and optional features designed to make Timberlake Homes the best value in Kent County! Location Map • 5 Miles to Dover! 2,430 to Over 3,460 sq. ft. Enjoy Your Clubhouse with Pool, Fitness and MORE! *Excludes prepaids. Must use builder’s title/settlement company. Subject to change. Prince George’s County and Anne Arundel County, Maryland and Kent County Delaware Veteran-Owned Home Builder of Luxury New Townhomes and Single Family Homes. Timberlake Homes has your home must haves. We build New Homes in Suburban Maryland locations including Pasadena, MD, Clinton, MD, Lanham, MD. and Salisbury, MD. Timberlake Homes also builds Single Family Homes in Magnolia, DE minutes from Dover. Our Luxurious and Affordable Single Family Homes and Townhomes are in the best PG County Maryland, Anne Arundel County Maryland, Wicomico County Maryland and Kent County Delaware locations. Timberlake Homes can build one of our homes or a custom home On Your Lot. Timberlake Homes Design/Build will Renovate, Rebuild and craft a Home Addition on your home or build a Custom Home On Your Lot or ours throughout Suburban Maryland and the Eastern Shore. Timberlake Homes is a Veteran-Owned and Operated Company building New Homes in Prince George’s County’s Premier Communities including Timber Ridge, Cheltenham, and Wood Glenn. Visit our decorated model townhomes in the The Towns at Creekstone Village Planned Community in Pasadena Maryland. or at Colonial Village in Salisbury Maryland. Visit our New Homes in Magnolia Delaware’s finest Planned Communities including The Reserve at Chestnut Ridge, Quail Landing and Olde Field Village in Magnolia DE close to Dover Air Force Base. Timberlake Homes offers prime Residential Real Estate in Prince George’s County Maryland, Anne Arundel County Maryland, Wicomico County Maryland and Magnolia Delaware.